During the month of June, the MJCC and PJA communities will be collecting pet food and gently used towels for The Pongo Fund and Dove Lewis Animal Hospital. Items can be dropped off in the blue bin located in the MJCC Lobby. Beginning with Friday evening, then continuing all day Saturday from morning through Havdalah, we will immerse ourselves in contemplative Jewish practice. Through meditation, chanting and prayer, supported by instruction and teaching, we will aim to open hearts and refine our awareness. Our time will be spent in silence, aside from prayer and chanting, as well as brief opportunities to check in about the practice. The retreat is open to everyone, regardless of experience. Registration to cover expenses is $40 for members of Havurah or Emek Shalom, $50 otherwise. You can register below. The Shabbat morning service and lunch following are open, with no registration needed. Contact Rabbi Benjamin at benjamin.barnett@havurahshalom.org with questions. Our Friday evening program will go from 7:30-9:30 pm (dinner is not provided). For those from outside of Portland, home hospitality can be arranged for the night. We will reconvene at 8:30 am and be together until 9:00 pm. Lunch and dinner will be provided, and there will be snacks available throughout the day. Meet in Neveh Shalom’s main service for the beginning of the Torah service, and then come out for a fun lesson on the Torah portion (parsha) of the week. Return to the service to help lead Adon Olam, and join the community for lunch! Join other families for prayer, singing, conversation and fun followed by an indoor picnic-style lunch. Join other young families for singing, dancing, stories, indoor picnic-style lunch and Shabbat fun. 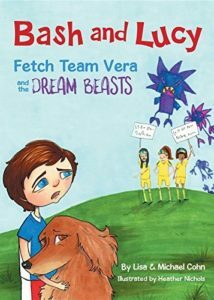 Award-winning mom-son authors Lisa Cohn and Michael Cohn help educate others about kids’ sensory integration challenges, as part of the June 2 release of Bash and Lucy Fetch Tea Vera and the Dream Beasts, a children’s book that features a sensory-sensitive boy (Bash), the dog who helps keep him calm (Lucy), and a handful of girl-power relatives. The A book release party will be held as part of Village Home’s Summerfest celebration. 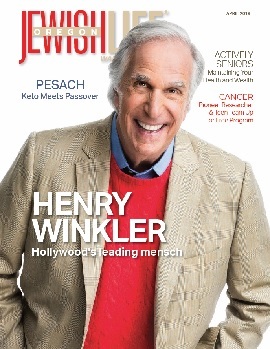 Michael and Lisa were previously featured in Oregon Jewish Life in the December 2014 issue when they released their second book Lucy and Dash fetch Jealousy. Michael and Moira, age 9, describe their sensory sensitivities—also known as sensory processing disorder—in a video, saying things like “wool sweaters feel like a bomb to me,” and identifying the three stages of meltdown due to sensory overload. They also describe negative experiences at traditional schools. It’s estimated that as many as one in six kids are affected by some kinds of sensory issue, according to the STAR Institute for Sensory Processing Disorder. Kids and adults with sensory processing disorder tend to be over- or under-sensitive to different sensory stimuli, including noise, tastes, touch, and smells. “Part of our aim with this book is to educate people about sensory processing challenges in kids and to debunk the myths of sensory integration issues,” said Cohn, an award-winning freelance writer who covers parenting and other issues. One myth is that sensory kids are autistic. Truth is, autistic kids often have sensory issues, but sensory kids aren’t autistic. In fact, studies show that the brains of the two populations are different. About 35% of gifted kids possess sensory challenges, according to the STAR Institute. However, because their sensory challenges make these kids want to move around, they often can’t sit still in class and will become disruptive. That’s why homeschooling is a good option for them. Michael and Moira attend Village Home, where they take a few classes at a time and leave plenty of opportunity for calming exercise. Lisa and Michael Cohn received three awards from Mom’s Choice and USA Best Book Awards for their first two “Bash and Lucy” books. They have “traveled” more than 540,000 miles to meet with students in 15 countries via Skype in the Classroom and are certified Microsoft Innovative Educators as a result of this volunteer work. They are founders of the Roving Reader Leaders club. At the June 2 party, music will be provided by Mr. Hoo of the Alphabeticians. The Cohns will share a sensory toolkit — fidget toys, putty, books, gum, and other items that are calming for kids with sensory challenges. 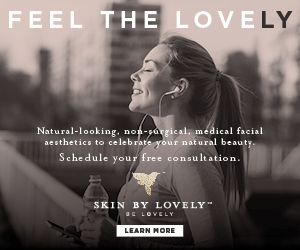 For more information, contact Lisa Cohn, BashAndLucy@gmail.com or 503-577-0504. Artists Sara Harwin, Kanaan Kanaan and Inga Dubay love letters. They explore the tradition of sacred letters in Hebrew, Arabic & English calligraphy in many forms of art expression. They each have a creative voice dedicated to peace & justice. Their will be an opening forum for the exhibit at 7 pm June 2. This event is open to all. During the exhibit, there will be activities on the MET community calendar where the show will be accessible (check the MET calendar https://www.metpdx.org/index.php/outreach/upcoming-events). Her love of both art-making and Jewish learning come from being raised in a home filled with Yiddishkeit, Her early Jewish education at the Sholem Aleichem Institute in Detroit, Michigan and many years at Camp Tamarack enriched her sense of Jewish community. Later, she studied Hebrew and art history of the Middle East at the University of Michigan where she completed a Bachelor of Fine Arts Degree. At Michigan she gained first-hand experience in printing under the tutelage of artist and author Emil Weddige. Upon her arrival in Portland, Oregon in 1969, she went on to study clay work with Wally Schwab at Marylhurst College, incorporating her figurative approach to art onto dishware and freestanding sculptures. Her work has been exhibited internationally in numerous group and one-woman gallery and museum shows, while her ritual items are widely treasured by individuals and communities. Inga Dubay’s work encompasses calligraphy, painting, drawing and printmaking. 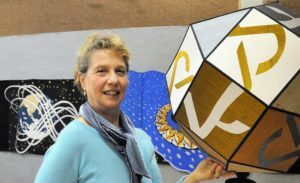 She taught at the Oregon College of Art and Craft for twenty-five years and was Book Arts Department Head for six years. Inga currently teaches at the Sitka Center for Art and Ecology. She has also taught at Portland State University for eight years and has conducted numerous workshops including as faculty at international calligraphy conferences. She has been a guest lecturer at Reed College’s Paideia, Scriptorium, and Art Department. She studied at Mills College and received a B.A. in Painting & Drawing from the University of Oregon with graduate study at the Art Academy in Oslo, Norway, the University of Oregon and the University of California at Berkeley. Her work has been shown nationally and internationally in juried and invitational exhibitions as well as shown in publications including Letter Arts Review, Lettering Arts and featured on Art Beat, Oregon Public Broadcasting. Her essay, The Write Stuff, appeared as an Op-Ed in The New York Times. Mr. Kanaan’s background is both interesting and diverse. He was born and raised in Amman, Jordan, in a Palestinian refugee camp. An artist by training, Kanaan studied at the College of Fine Arts at Baghdad University prior to immigrating to the U.S. in 1994. After moving to Portland, he obtained his bachelor’s degree in Fine Arts and Graphic Design from PSU 1999, and in 2006, earned his Master of Fine Arts in Painting and Mixed Media from Warnborough University in Ireland. For the eight years, Kanaan was an adjunct professor in PSU’s art department where he’s taught courses in interactive media, Web design and computer graphics. Since 2011, he is serving PSU as the Middle East Student Retention Specialist. He continues to be an active artist, regularly participating in both solo and group shows. The Mishnah Berurah is the last generally accepted code of Jewish law and custom. For beginners to advanced students. Emily Wanderer Cohen is the author of From Generation to Generation: Healing Intergenerational Trauma Through Storytelling, which connects the dots between her behaviors and choices and her mother’s Holocaust experiences. She will illustrate how the Holocaust continues to have an impact on current and future generations. Emily is a trauma healing coach specializing in intergenerational trauma, specifically from the Holocaust. Come meet this acclaimed author and get a better understanding of how Holocaust and other trauma survivors transmit their trauma to their children and grandchildren. Copies of the book will be available for sale. A celebration of the life of Jaime Leopold will be held June 3, 2018, from 3 PM to 8 PM at Polaris Hall in northeast Portland. Along with remembrances of Jaime will be food, music, beer and wine. Although food will be provided, friends are encouraged, if so moved, to bring a dish to share that Jaime would have liked. Music will be provided by The Shorter Stories and a number of Jaime’s friends and musical acquaintances. If you are a musician and wish to take part in the music on this day, please let us know. Jaime Leopold, who died March 1, 2018. The Leopold family has a history with Oregon’s Jewish community dating back to 1951, when parents, Rose and Bernard Leopold, moved to Portland from New York City. Jaime had a very public presence as a songwriter/musician, was owner of an advertising agency and became a bar mitzvah at Temple Beth Israel in 1959. And please let us know if you plan to attend. We’ll keep you posted as the time draws near. Thank you. Peace, and love. For advertising information, please contact advertise@ojlife.com.